If you are a professional Class A CDL driver searching for a real career opportunity, your search may be over. Jason’s Deli Distribution is a division of Deli Management, Inc. That's right, we own our own distribution because fresh food and timely deliveries are that important to us. And it also makes it easy for our franchisees to take advantage of the buying power of the entire Jason’s Deli chain. Modern air-ride tractors, varied routes and five-day weeks are just a few reasons that Jason’s Deli Distribution is a great place to work. 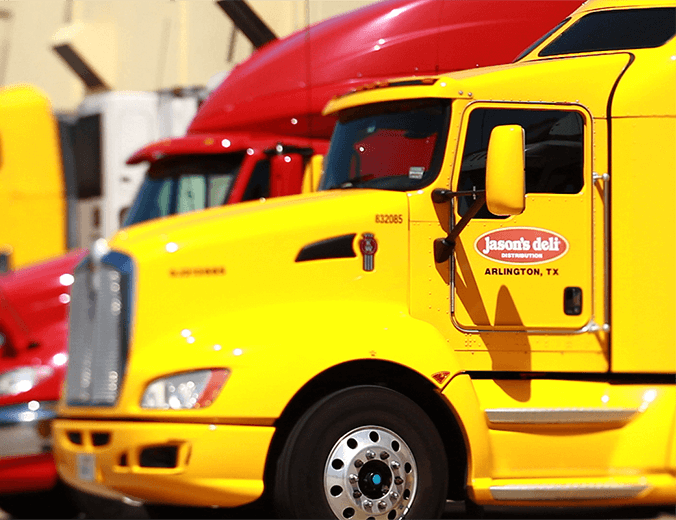 Jason's Deli Distribution Center is now hiring class A CDL drivers in Charlotte and the Dallas/Ft. Worth area. Jason's Deli Distribution center is now hiring Order selectors in Charlotte and the Dallas/Ft. Worth area. Competitive hourly pay, plus weekly incentives!